All biplanes rely on support wires to ensure overall aircraft rigidity. 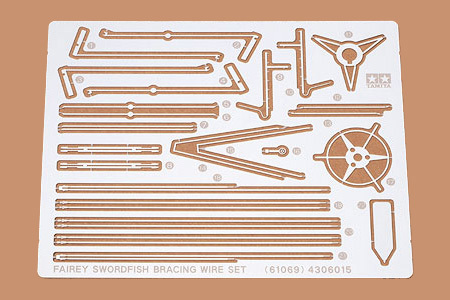 This Photo-Etched Parts Set Realistically recreates the flat form support wires of the Swordfish and allows for a classical biplane feel that only quality metal parts can provide. Sights for the torpedo and machine guns have also been included in the set. Instant cement recommended for attachment.